Today we learned of the loss of two members of our gaming community, Kyle Nash and Connor Boyd. We at the Wizard's Tower were grieved to hear that both men were victims of the accident on September 18, 2013. All of us at the Wizard's Tower remember Connor and Kyle to be men of great kindness, patience and humility. We send our sympathies and condolences to the families and friends of those who were lost yesterday and all those who have been affected. This weekend, Wizard's Tower is running a series of launch events for the latest Magic: The Gathering Cards this weekend. 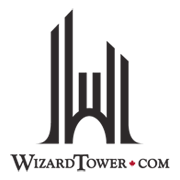 In order to honour the loss of their community members, Wizard's Tower has decided to donate the proceeds from the launch event scheduled for 9:00am Sunday September 22nd for the families of the deceased. They will also be accepting on-site donations. According to the rep I chatted with on their website, of all the launch events, the Sunday one was selected to be the memorial one because Kyle Nash was registered to attend that particular event. If you're a gamer and are thinking of heading out for the launch, consider the Sunday event to support the families in their time of need.